Manufacturer of a wide range of products which include swimming pool water treatment plant. We have marked a distinct and dynamic position in the market by providing a high quality array of Swimming Pool Water Treatment Plant. Our offered plant is availed in a variety of specifications to choose from. As the name implies, offered plant is used for treating pool water. The offered plant is precisely manufactured at our highly advanced manufacturing unit following industry distinct guidelines. The offered range can also be availed from us at the industry leading prices. 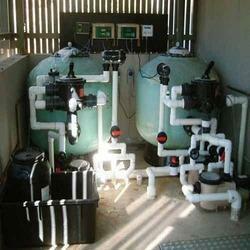 Looking for Swimming Pool Water Treatment Plant ?